The 2019 San Francisco International Film Festival runs from 10 to 23 April in nine venues: Castro Theatre, Dolby Cinema, Roxie Theater, SFMOMA Phyllis Wattis Theater, Theater at Children’s Creativity Museum, Victoria Theatre, and YBCA Screening Room in San Francisco plus BAMPFA, and Grand Lake Theatre in the East Bay. Mediterranean features to look out for include: Debt directed by Vuslat Saraçoglu (Turkey) 2018; A Faithful Man directed by Louis Garrel (France) 2018; Loro directed by Paolo Sorrentino (Italy) 2018, and Paper Flags directed by Nathan Ambrosioni (France) 2018. 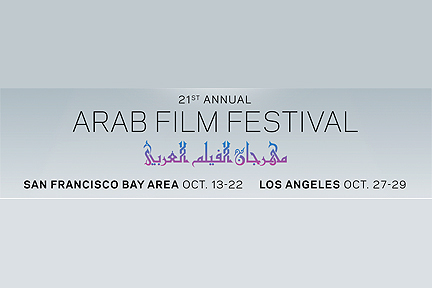 For more information and tickets, contact San Francisco Film Institute. 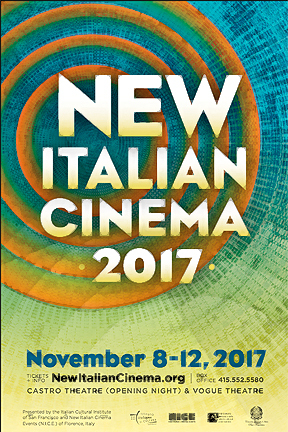 New Italian Cinema is scheduled 8 – 12 November 2017 in San Francisco. The Stuff Of Dreams directed by Gianfranco Cabidou (Italy) 2016 is the opening night film at the Castro Theatre followed by Fortunata directed by Sergio Castellitto (Italy) 2017. Subsequent screenings of narrative and documentary works during this brief festival will be at the Vogue Theatre. Films include Husband & Wife directed by Simone Sodano (Italy) 2017, There Is A Light directed by Fabio Mollo (Italy) 2017, Friends By Chance directed by Francesco Bruni (Italy) 2017, and The Duel Of Wine directed by Nicolás Carreras (Italy/Argentina) 2015. For more info and tickets contact New Italian Cinema. The San Francisco International Film Festival celebrates its sixtieth anniversary 5 – 19 April 2017. I first attended half a century ago at the Masonic Auditorium on a student ticket I obtained with my ID from the Alliance Française in Paris. At thirty I wasn’t the oldest person in the balcony, where student ticketholders were seated. Presently I qualify for senior tickets. The film festival changed venues over the years. I remember its long run at the Castro Theatre and subsequently the Palace Of Fine Arts Theater before moving to the Kabuki. This year’s numerous San Francisco venues are: the Alamo Drafthouse, Castro Theatre, Dolby Cinema, Proxy, Roxie Theater, SFMOMA, Victoria Theatre, Walt Disney Family Museum, YBCA, and Vogue Theatre, as well as BAMPFA in Berkeley. Mediterranean offerings include: Everything Else directed by Natalia Almada (Mexico/USA/France) 2016, Marie Curie: The Courage of Knowledge directed by Marie Noëlle (Germany/France/Poland) 2016, Mister Universo directed by Tizza Covi & Rainer Frimmel (Austria/Italy) 2016, Story of a 3-Day Pass directed by Melvin Van Peebles (France) 1967, The Death of Louis XIV directed by Albert Serra (France/Portugal/Spain) 2016, and The Wedding Plan directed by Rama Burshtein (Israel) 2016. Somewhere Amazing directed by Georgia Cecere (Italy) 2015 is about the gradual evolution of a woman. Lucia is a young wife and mother who lives a conventional life in an unnamed Italian city. She’s half owner of a flower shop where she works during the day. However, a jarring incident, during an outing in the country, disrupts her orderly routine and little by little she manages to move beyond the limits of the familiar and venture toward a more satisfying future. The film was one of a half dozen narrative features by new directors in New Italian Cinema 20. This year’s festival recently concluded in New York and San Francisco but will screen at International House in Philadelphia 1 – 4 December 2016. See http://www.nicefestival.org for more information. 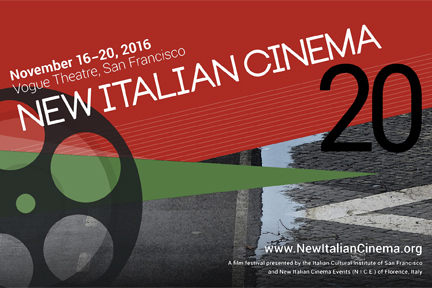 New Italian Cinema Events (NICE) opens 16 November 2016 at the Vogue Theatre in San Francisco. Fifteen feature films will screen during the five-day mini festival, many of them works by emerging directors. This is a joint project of the Italian Cultural Institute of San Francisco and NICE of Florence, Italy. Second Spring directed by Francesco Calogero (Italy) 2016 is the opening night film and Like Crazy directed by Paolo Virzi (Italy/France) 2016 is the closing night film. The Vogue Theatre is at 3290 Sacramento Street in San Francisco. For more information and tickets see New Italian Cinema.